Fresh off its premiere via DJ Target on 1Xtra, Australian rapper MANU CROOK$ reveals huge new single ‘Throw It Back’. The blistering  record  is produced by  MANU CROOK$ and co-produced by DOPAM!NE, featuring fellow African-Australian  artist B Wise after the pair previously collaborated on Manu’s single ‘Best Years’. 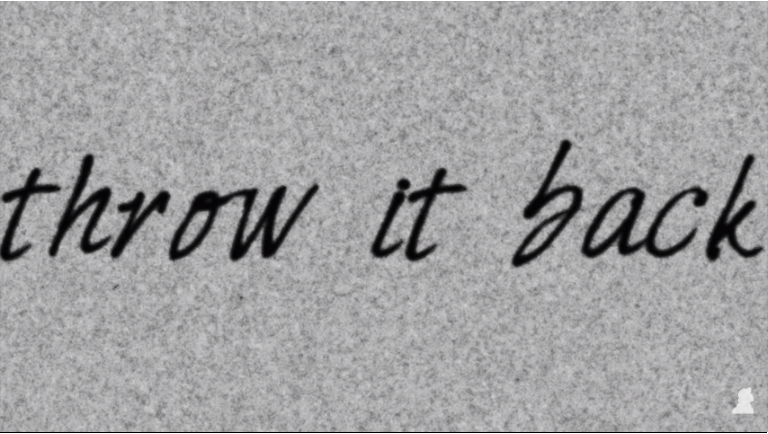 ’Throw It Back’ serves as a follow-up single after the success of “Fuego” (feat. Anfa Rose) released earlier this year. Manu has just finished a national tour supporting Alison Wonderland, and recently performed to thousands of people on the main stage at Listen Out Festival. 2019 sees Manu as the only Australian artist on the bill for the first Rolling Loud Festival outside the US. Praised as the biggest hip-hop festival in the world, Manu joins massive names such as Future, Lil Uzi Vert, Playboi Carti and Tyga for the first ever AU edition to be held in Sydney in January. 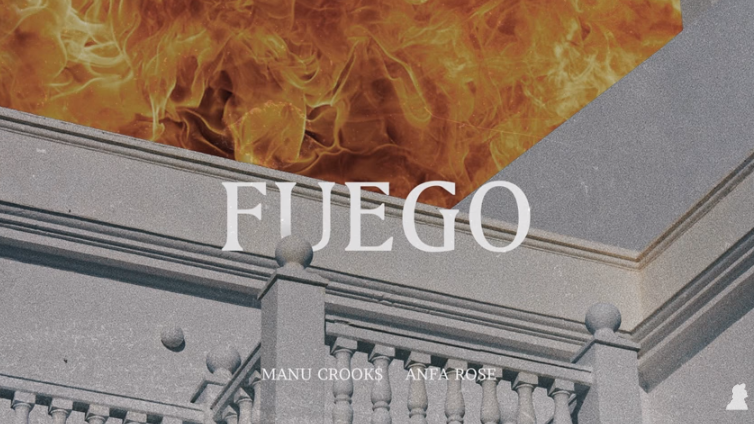 With over 10 million collective views on YouTube, and 20 million collective streams on Spotify, MANU CROOK$ closes the year with another certified banger. Filmed through cognac-tinted lenses and dripping in Parisian luxury, CROOK$, alongside model Jelena Markovic, is as enviously smooth in his presence as he is in his melodies in this Jaen Collective directed masterpiece. Frequent collaborator Anfa Rose, whose vocals are responsible for the crescendoing hook, also finds his renaissance in the clip. This release is an easy reminder that CROOK$ makes no waste of his ability to make fire from left field, teasing a possible successor to the ‘Mood Forever’ EP. Continuing his elevation to new heights, ‘Fuego’ made its UK radio premiere via DJ Target on BBC Radio 1Xtra and has since received over 1 million streams on Spotify alone. He has received an accolade of praise from tastemaker sites such as i-D, The Fader and Pigeons & Planes, as well as his contemporaries including Big Boi and ASAP Ferg who brought him on stage during a recent Sydney performance.This momentum has MANU CROOK$ touted as one of the most exciting emerging artists of 2018. He released his debut EP last year and consequently toured his home country with both Stormzy and Tory Lanez before headlining his own Australian tour sponsored by Noisey. His global reach was extended upon the release of breakthrough single ‘Everyday’ which is closing in on 2 million views on YouTube and the video for ‘Day Ones’ also passing the 1.5 million mark, whilst Spotify streams for both records soar beyond 1.5 million each. Manu Crooks then closed out 2017 by teaming up with close friend and collaborator Anfa Rose for the double drop of ‘Presence’ and ‘All I Need’, which have since amassed 2 million streams respectively. Hit the play button to the visuals for ‘Fuego’ below and follow CROOK$’ epic journey here. MANU CROOKS steals today’s hop spot for the second time this month with another sizzling hot number, ‘Fuego’. The African-Australian’s latest gem made its UK radio premiere via DJ Target on BBC Radio 1Xtra. Immersed in an eclectic sound and seamlessly exploring musical territories, ‘Fuego’ is a hybrid of trap, saturated with Flamenco to its core. The track boasts a hypnotic vocal loop courtesy of Anfa Rose which delicately entwines through the acoustic guitar led instrumental whilst his “raw lyricism and seamless flow” (The Fader), remains firmly centerstage. 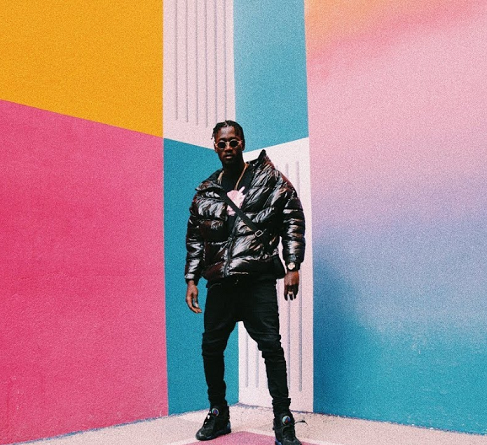 Having received an accolade of praise from tastemaker sites such as i-D, The Fader and Pigeons & Planes, as well as his contemporaries including Big Boi and ASAP Ferg who brought him on stage during a recent Sydney performance, MANU CROOKS is quickly becoming the face of urban music in Australia. He released his debut EP last year and consequently toured his home country with both Stormzy and Tory Lanez before headlining his own Australian tour sponsored by Noisey. His global reach was extended upon the release of breakthrough single ‘Everyday’ which is closing in on 2 million views on YouTube and the video for ‘Day Ones’ also passing the 1.5 million mark, whilst Spotify streams for both records soar beyond 1.5 million each. MANU CROOKS then closed out 2017 by teaming up with close friend and collaborator Anfa Rose for the double drop of ‘Presence’ and ‘All I Need’, which have since amassed over 1.2 million streams respectively. Currently embarking on his ‘Mood Forever’ World Tour taking in his opening dates in Canada, MANU CROOKS‘ enthralling versatility as an artist is one of his main attributes as he is able to draw upon, yet distinguish himself from, the hubs of US and UK hip-hop. His Australian upbringing has enabled him to draw on authenticities that the hip-hop scene thrives upon, whether that be through his non-conformist outlook to his experimental ear. With performing dates throughout April to June across Canada, the UK, Netherlands, Denmark, Germany and France, MANU CROOKS is destined to break down borders. Whilst still a relative newcomer for the UK circuit, the African-Australian rapper has a cult hip-hop following and has previously been highlighted by i-D, The Fader and Pigeons & Planes, all raving about his incredible potential as an artist. 2017 proved to be a whirlwind year, which included the release of his debut EP ‘Mood Forever’, Australian tours with both Stormzy and Tory Lanez, and Manu’s own headlining Australian tour sponsored by Noisey. His music has been spreading globally with the video for his breakthrough single ‘Everyday’ closing in on two million views on YouTube and the video for ‘Day Ones’ also passing the 1.5 million mark, whilst Spotify streams for both records soar beyond 1.5 million each. MANU CROOKS closed out 2017 by teaming up with close friend and collaborator Anfa Rose for the double drop of ‘Presence’ and ‘All I Need’, which have since amassed over 1.2 million streams respectively. For his new release ‘Different League’, MANU CROOKS is draped in a designer puffer jacket, teaming with accessories and raps about his ongoing success and the women he’s met along the way. His eyes are covered by gold-framed, designer sunglasses, reminiscent of Master P, as he cruises through the streets with a beautiful lady. The subtle special effects enhance the visual vibe and overall aesthetic, whilst the heavy bass line and rhythmic keys create an ominous feel as he spits bold lyrics with his foreign flair and trap-tinged sound, about lust, success and unclear intentions. French directors Aden Gauthier, Hitsu Film and Berko & Titan’s colour grading and keen editing sets the visual apart and stamps both class and business all over ‘Different League’, which amassed 50,000 views in its initial hours online. The exploration of borders goes beyond just that of the record and the visual for ‘Different League’ as alongside his latest release, MANU CROOKS has also announced his debut ‘Mood Forever’ World Tour, which will see him perform dates throughout April to June, across Canada, the UK, Netherlands, Denmark, Germany and France, demonstrating why he is leading Australia’s hip-hop movement and “sees him separating himself from the lower divisions.” (Clash Magazine).